Comments: Electric airsoft guns (AEG) need tune-ups to keep performing at their best. 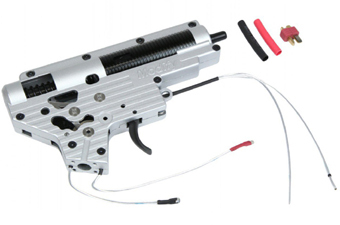 The M4-A1 Speed Series Modification Kit is designed to speed up your weapon's rate of fire. 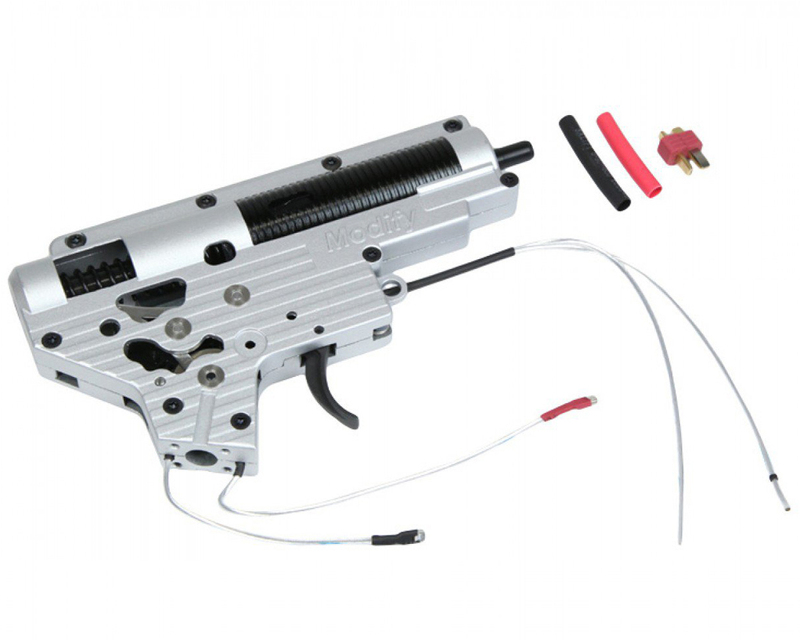 This package includes a M100 spring, rotary spring guide, tappet plate, modular gear set (16.32.1), selector plate, poly-carb piston, poly-carb piston head with bearing, air nozzle with o-ring, steel 8mm bushings, anti-reverse latch, Modify 8mm Torus mechbox, aluminum type 1 cylinder, aluminum cylinder head, a cut-off lever, low resistance M4 wiring harness, and a T-connector.